There’s more than one way to climb! A class is not required to start climbing, but will allow you to progress and access new parts of the wall! Classes fill up quickly! Get here 15 mins early. Access our full climbing class schedule at the bottom of this page, online sign up is easy with the Mindbody app! Will it be your first time coming into the facility? No worries. We will get you set up with an official orientation. No need to schedule anything, the orientation just lasts a few minutes and will get you started climbing right away, even if you’ve never climbed before. 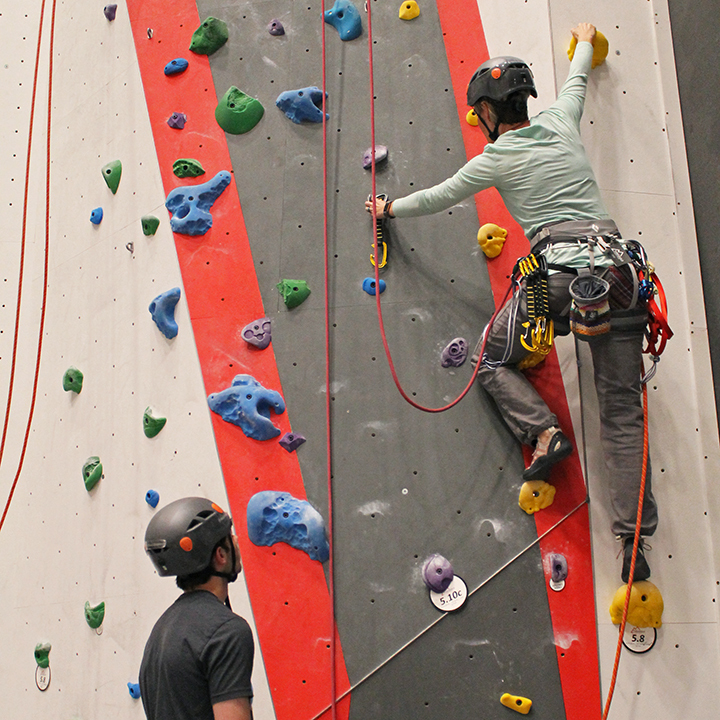 After an Orientation you will have access to our extensive bouldering walls, no ropes required, you can also try the tall, 50 foot walls right away by getting trained and certified to use the auto-belays. 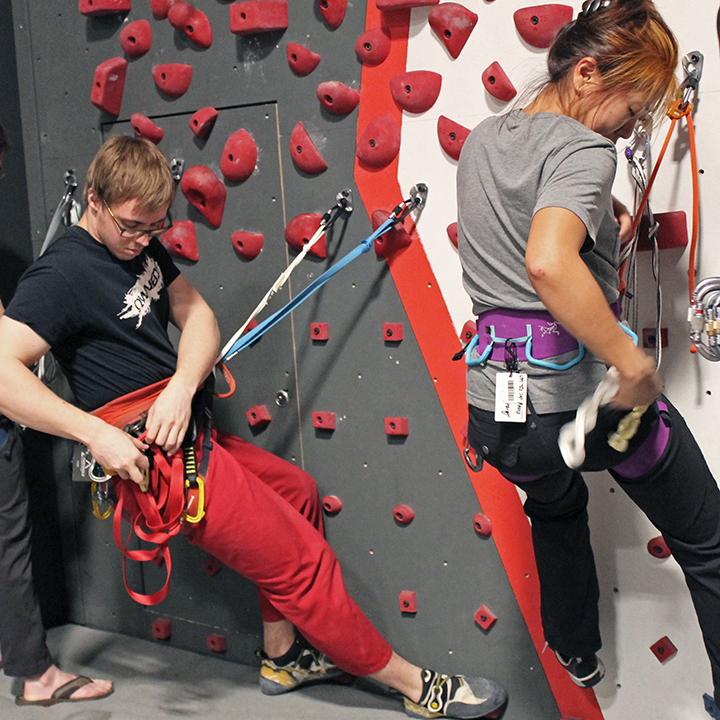 If you’re looking to expand your climbing access and knowledge, take one our scheduled classes below. 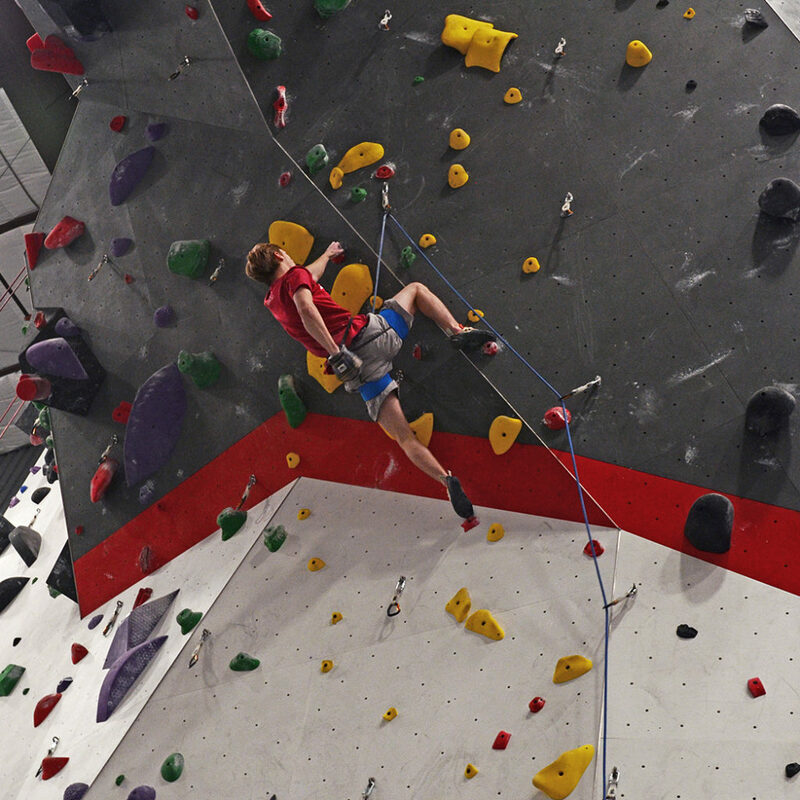 Consider this class Roped Climbing 101. You will learn basic knot tying, the belay system, rope management, and basic climbing movement. 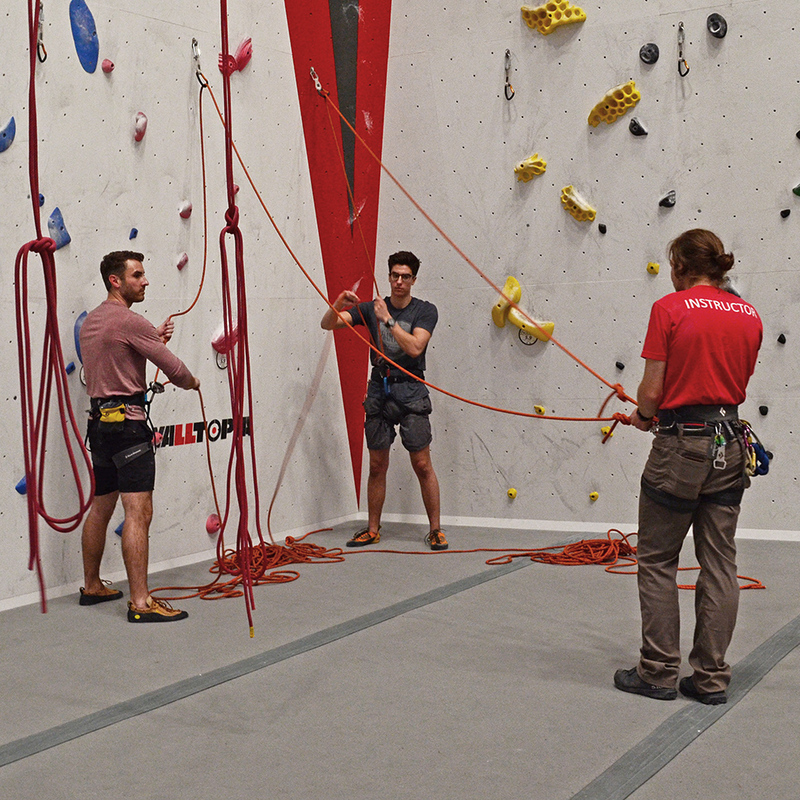 Designed for people with little or no climbing experience, this course presents the skills needed to access more sections of the tall walls of Threshold! 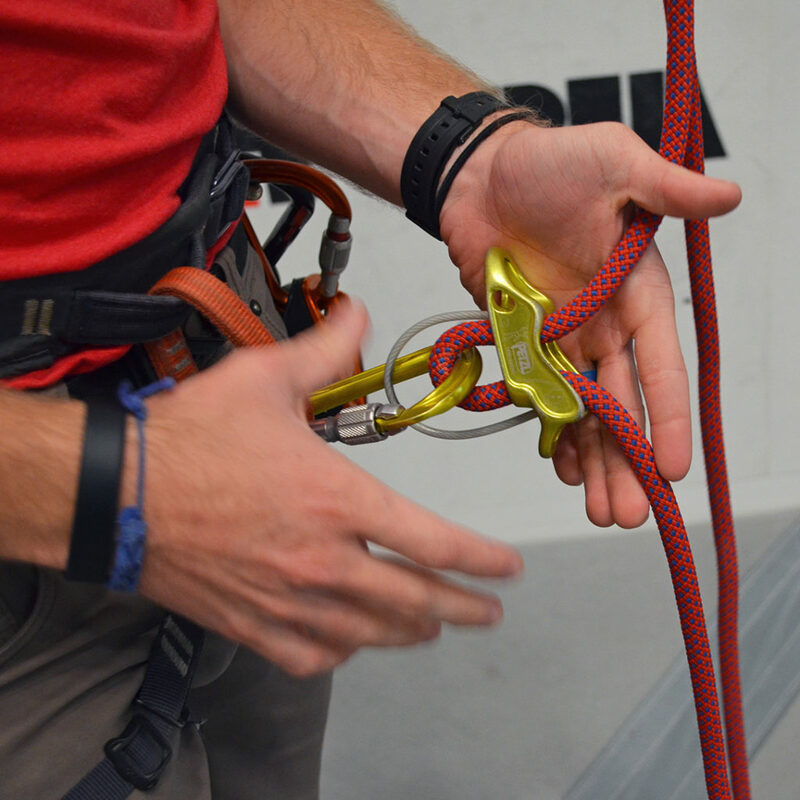 This course is the prerequisite for the auto-belay and top rope climbing test. (Age 14 required to top rope belay. 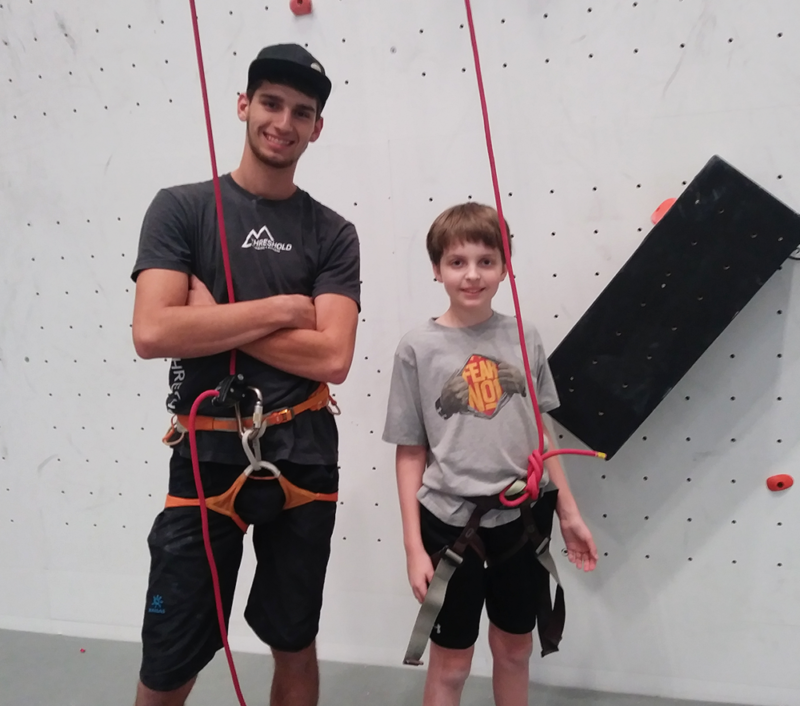 There is no age requirement to top rope climb) – This class is FREE with a membership! Sign into these classes through the Mindbody app! Looking to transition outside? 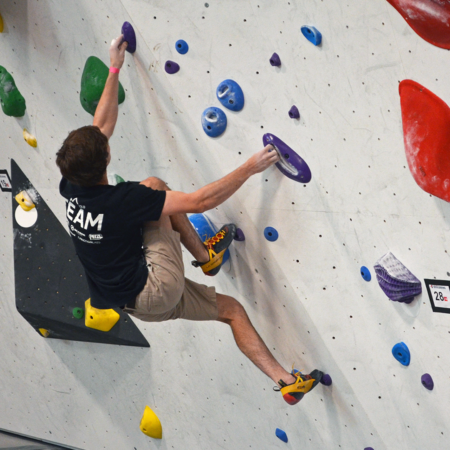 Our Sport Climbing Series is perfect for you! The Sport Climbing Series will breakdown the fundamental skills you need to know into 3 progressive classes. 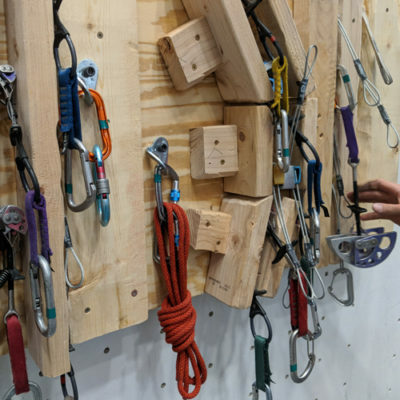 We will start with gear placement, then build few different basic sport anchors and finish the series with how to anchor yourself to the wall, clean the sport anchor and rappel back to the base of your climb. Each Class is 1.5 hours and held over 3 days. Max of 6 participants. 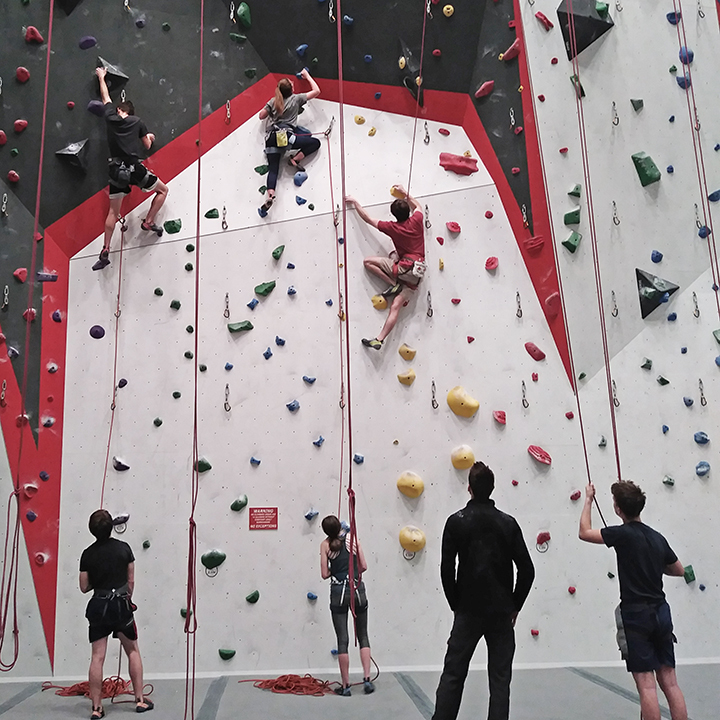 This class does not cover using any traditional climbing equipment. *Climbing is inherently dangerous. 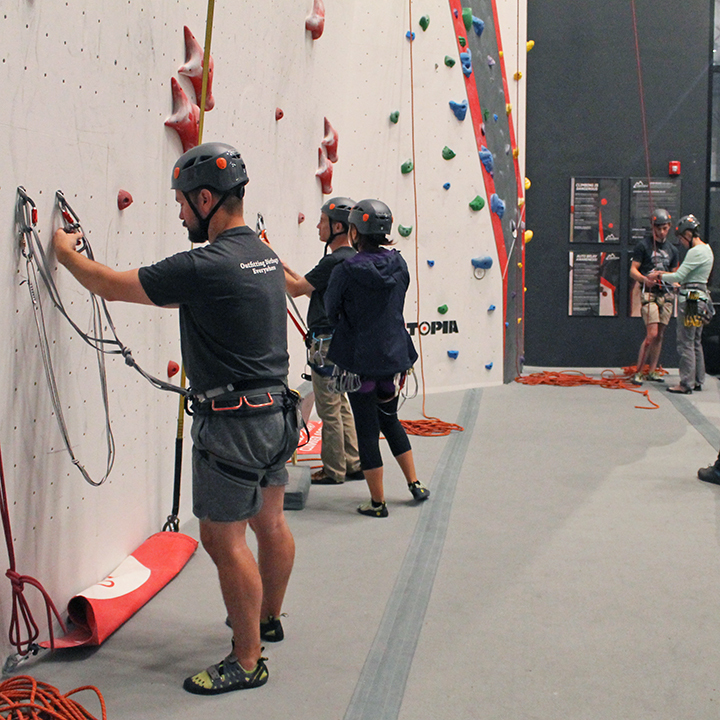 This class is meant to provide a basic understanding of skills that will assist with a participant’s transition to outdoor sport climbing. This course is taught indoors and therefore cannot cover all situations that can and do occur outdoors. Participants must be Lead Climb and Lead Belay Certified. Check our schedule for the next Sport Series. Is sport climbing not enough? Do you want to push your technical skills beyond your current comfort level? Ready to start climbing cleaner and bigger walls? Then you are ready to take our Traditional Climbing Series! This will be a three day course in which you will learn the basics of trad climbing ethics, gear, anchors and much more. Each class period will be roughly 3 hours making the series a 9 hour course! 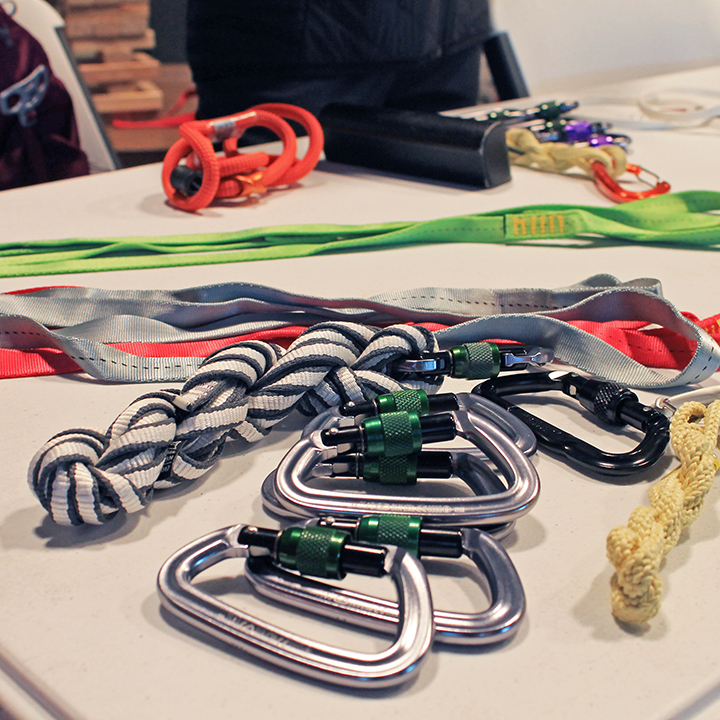 For the first day we will look at what type of gear is needed for trad climbing and get a basic overview of why and where to trad climb. On the second day we will look at a comprehensive view of anchors and how to use different anchor systems for different tasks. Day three will be an overview of organization and planning, leading and descending techniques as well as a brief overview for the whole class. Maximum of 6 participants per class. 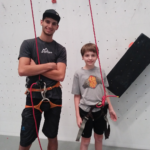 Participants must be Lead Climb and Lead Belay Certified, and preferably have taken the Sport Climb Series, or have a basic understanding of climbing anchors. Check our schedule for the next Trad Series. 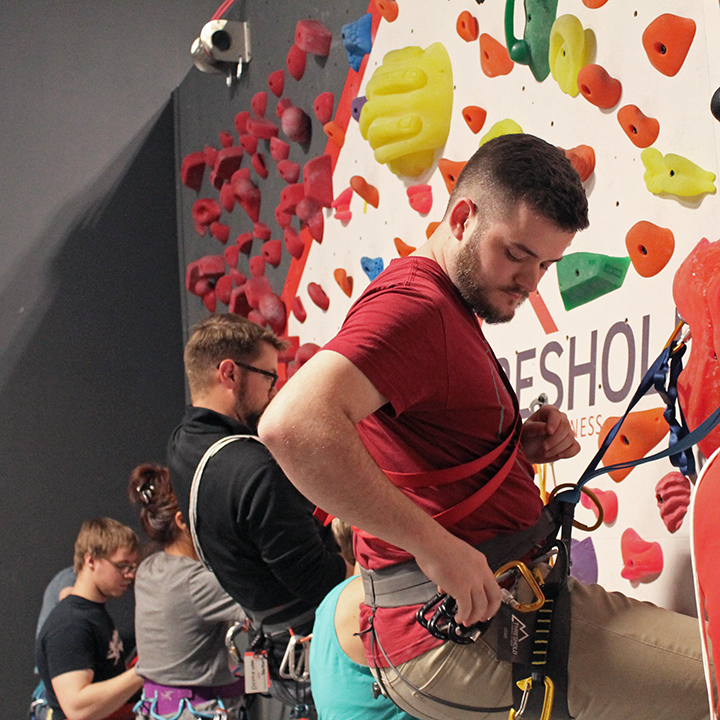 Launch is our introductory course that will give you the tools to take your climbing movement to the next level! 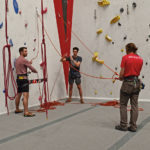 In this one hour class you will learn effective footwork techniques, how to transfer weight to reach the next hold with ease, getting the most out of your muscles and other fundamental movement patterns in climbing that will progress your technique and climbing difficulty level! V17, Here you come!! Our Movement Classes are typically held once a month. Looking for some personal one on one training? Can’t make it to one of our scheduled classes? Our certified wall instructors are available to you according to your schedule. You can hire an instructor by the hour and they will work with you on whatever skills you are looking to develop. Based on your needs we will match you up with the the most qualified person. Please give 72 hour notice before scheduling a private instruction to ensure proper scheduling. 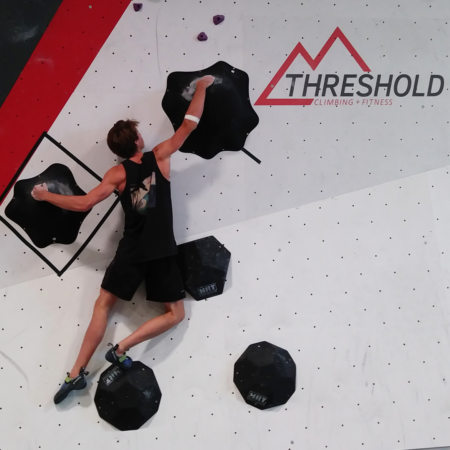 Email us at: Hello@thresholdclimbinggym.com to request a Private Instruction.